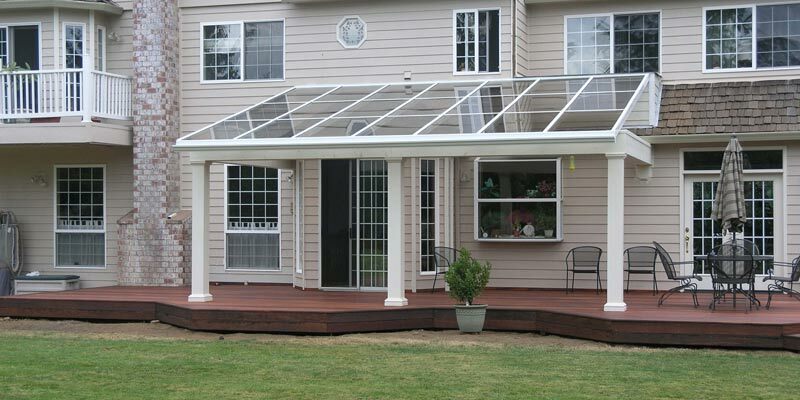 Global Solarium Patio Awnings are the perfect solution for any outdoor space. Sturdy construction will hold up in all climates and a variety of styles and colors make any patio cover a seamless addition to any home. Made from high quality aluminum or wood materials, Global Solarium, Inc., patio awnings stand up to the harshest climates. Lightweight and structurally sound, the aluminum framing offers a slim and elegant look. Wood framing brings a beauty and warmth to the structure. Both framing materials are treated, primed, and finished and use advanced coatings and sealants for long-lasting beauty and durability. 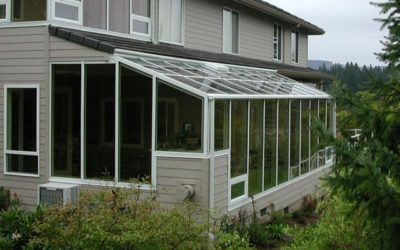 Tempered or laminated glass, polycarbonate, or solid roof panels complete the look of the patio awning. 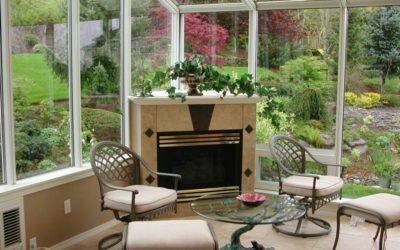 Global Solarium designers, engineers, and craftsmen understand diverse climates, from rain and wind to snow to triple-digit temperatures. We use only the highest quality materials and up-to-date technology to make sure your patio cover is both durable and safe. Global Solariums patio awnings are made with durable extruded aluminum framing, so they have a high resistance to the elements. Aluminum won’t rust like other metals and has a longer lifespan than wood, which can warp, rot, or distort in adverse weather. Aluminum can also be shaped in many different way, which allows for several awning styles. For extra strength and durability, there are optional steel supports for the awnings. Wood framing, which is provides a warmer and more appealing look to your patio awning, is also available. To keep the wood sturdy in all weather and climates, Global Solariums uses the highest quality materials and the latest technology. All materials are treated, primed, and finished, which adds to the durability of the awning. Tempered or laminated glass adds more safety to the awning covers. If something does manage to break the glass, such as a tree branch in a wind storm, tempered glass is designed to break into smaller pieces which are much safer to deal with than jagged shards. Laminated glass provides an extra layer of protection. In this case, when the glass breaks, a layer of material inserted into the glass will keep the pieces in place. The window will still need to be replaced, but the clean up is much safer. Both kinds of glass are available in a selection of tints. There are three standard colors for any Global Solarium awning, as well as other custom colors. 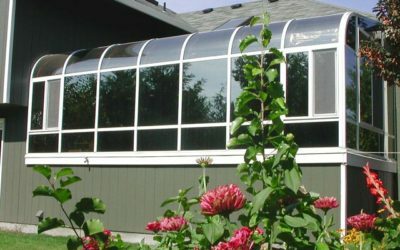 Using aluminum gives Global Solarium the freedom to make several styles of awnings, including Edwardian, Georgian, and Victorian. Each style has its own feel, from the modern lines of the Edwardian, to the cathedral feel of Georgian. And, of course, the old world charm and elegance of the Victorian architecture. Built-in channels within the frame evacuate water, condensation, or small leaks away from the interior and to the outside of the structure. The system helps prevent standing water from accumulating in hard to reach or unseen areas.